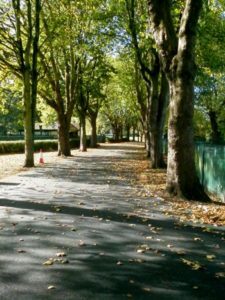 Doncaster Council is to spend £400,000 upgrading footpaths in parks across the borough. Hexthorpe Flatts is to receive the greatest share – £180,000. The footpaths in the park have been not only a disgrace but also highly dangerous. They have given the appearance of a neglected park. They have provided a hazard for anyone in a wheel chair, pushing prams or just walking. Hopefully, this is the first step in the regeneration of the Flatts. Resurfacing work will begin in 11 parks on footpaths described as being in a ‘very poor’ condition. Among these parks are Elmfield Park £88,000, Adwick Park £36,000, Warmsworth Park £14,000 and Sandall Park £11,000 and Westfield Park £3,000.